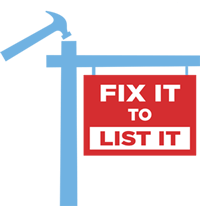 At Legacy Supportworks, our Fix It to List It specialists know that real estate professionals have unique needs because of their industry. We understand the sensitive nature of a transaction when a concern is raised by an inspector or potential buyer. We also know that you are working under strict deadlines that need to be met. Our goal is to respect the interest of all parties involved and help you successfully move towards closing. A Written Report: Our Fix It to List It specialist will provide you with a full report detailing their recommendations after inspection. Measurements and Level Variations of the Home: All measurements taken during our inspection will be listed and organized for you to reference in the future. Photos of the Property: Our Fix It to List It specialist will take and provide photos of problem areas they recognize in the home. A Proposal to Repair: We will include a written proposal on any suggested repairs that will increase the property's value and safety. To receive your written report, please complete the quick form below. Legacy Supportworks will contact you shortly to schedule an appointment.